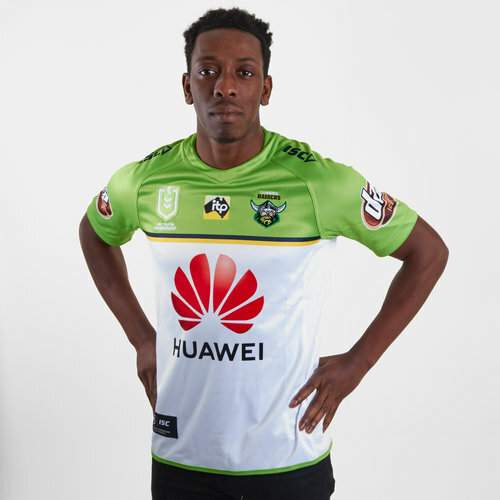 Cheer on the Raiders whilst you go out and about in style with this Canberra Raiders NRL 2019Alternatme S/S Rugby Shirt from ISC. This alternate shirt uses all of the club's traditional colours. Made from 100% polyester, the shirt has a crew neck collar giving a comfortable feel. This shirt is white at the bottom and green on the top and has blue and gold stripes separating the two colour blocks. The ISC logo is on both shoulders whilst the club badge is on the left whilst the NRL logo is on the right. 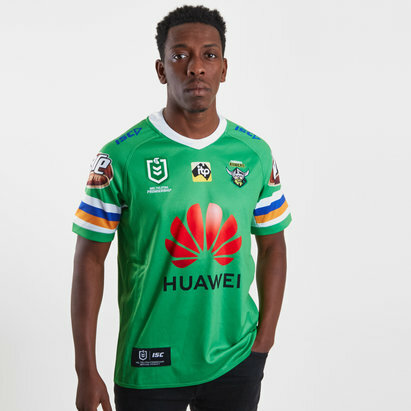 The club's main sponsor - Huawei - is printed across the middle.